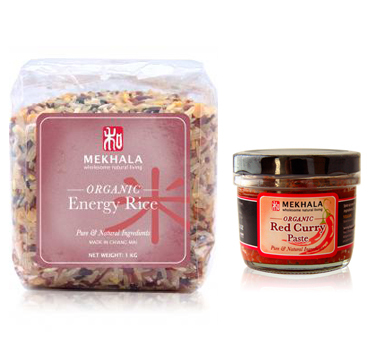 New Mekhala organic rice & organic curry pastes now available at BGO Ecoshop! Organic Green Curry Paste, Organic Red Curry Paste & Organic Yellow Curry Paste. Get the Organic Rice & Curry Paste Bundle Deal for savings!